It’s time to “haunt it and flaunt it” with the NEW! 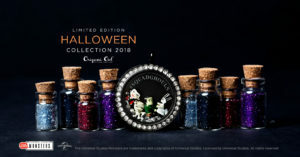 limited edition Halloween 2018 Collection! 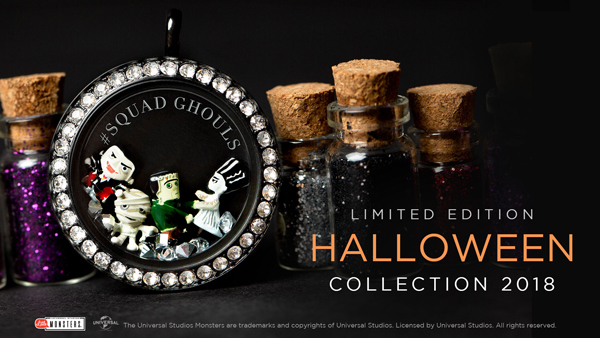 This collection is limited edition and includes an exclusive, licensed collection – Universal Studios Little Monsters, which means these pieces are available in limited quantities and they WILL go fast! Because sharing is scaring…err…caring…here’s what you can find in your My O2 Connection app and what’s available in your Back Office. You can also find the digital catalog on your Personal Web Page. Just go to Shop > Seasonal Catalogs. This collection has a mix of both Halloween and harvest, so be sure to share this collection with everyone who is excited about pumpkin everything. (And don’t forget about the Customer Exclusive offer! When your Customer spends $50 USD | $65 CAD, they can get the exclusive Harvest Charm Set for just $25 USD | $35 CAD until September 30 or while supplies last. More details here. 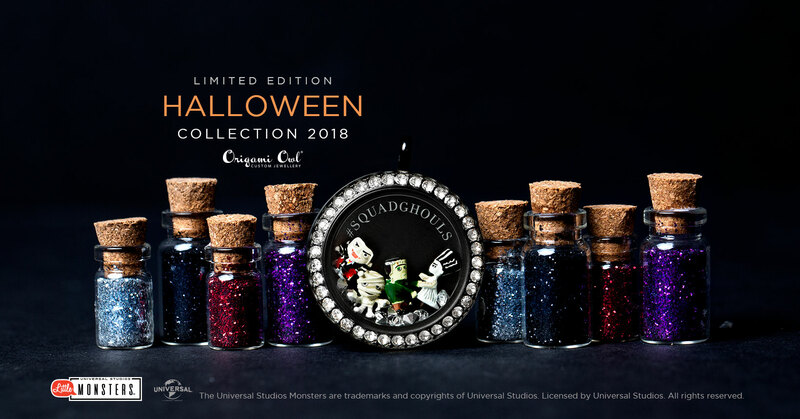 Here are FAQs on the Limited Edition Halloween 2018 Collection. Make this a September to Remember and sprinkle autumn wherever you go with this new collection. And yes, if you purchased the Halloween Collection Pack during our sold-out presale, it should be arriving on your doorstep in the next day or two!